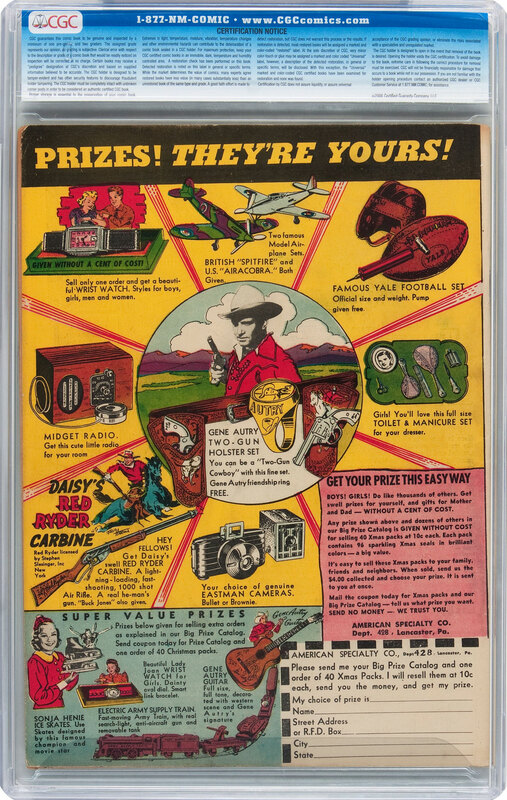 The multi-million dollar Doug Schmell/PedigreeComics.com Collection, featuring the single greatest grouping of Silver Age Marvel CGC #1 Registry sets ever assembled, and the Shamus Modern Masterworks Collection of Original Comic Book Art, led by famed comic book artist Todd McFarlane’s iconic original cover from his seminal 1990 Spider-Man #1, the most famous modern comic book cover of all, form the centerpieces of Heritage Auctions July 26-28 Vintage Comics & Comic Art Signature Auction. 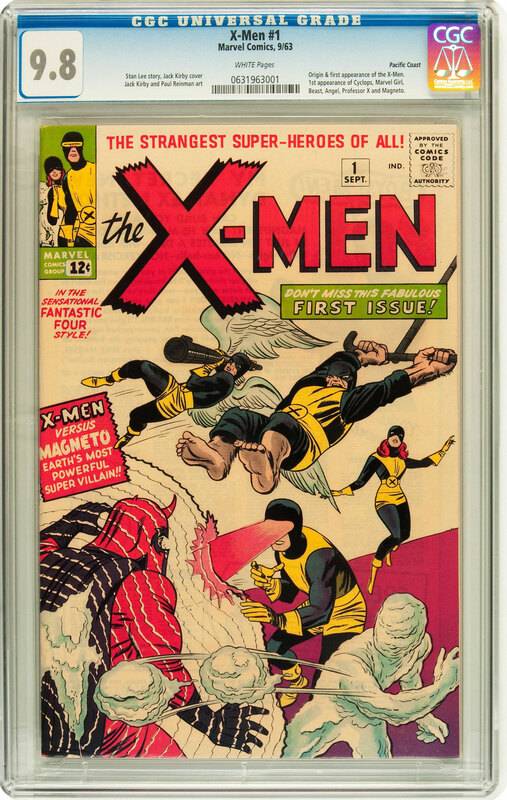 The incredible Doug Schmell/PedigreeComics.com Collection is Silver Age comic book collection unlike any that have come through Heritage before, led by X-Men #1 Pacific Coast pedigree (Marvel, 1963) CGC NM/MT 9.8 (estimate: $250,000+). Top individual titles besides the Pacific Coast X-Men #1 9.8 include Tales of Suspense #39 9.6 Pacific Coast, Avengers #1 9.6 Pacific Coast, Fantastic Four #4 9.6, Journey Into Mystery #83 9.2, Avengers #1 9.6 Pacific Coast, Daredevil #1 9.6 Twin Cities, Strange Tales #135 9.8 Pacific Coast. The incredible run of titles include Avengers #1-100 (89 are grade 9.8 and 11 are graded 9.6), Daredevil #1-100 (90 are graded 9.8 and 10 are graded 9.6), Fantastic Four #1-102 (94 are graded 9.8 or 9.6), Journey Into Mystery #83-125 (40 are graded 9.8 or 9.6), Strange Tales #101-168 (64 are graded 9.8 or 9.6), Tales of Suspense #39-99 (All are graded 9.8 or 9.6), Tales To Astonish #36-101 (64 are graded 9.8 or 9.6), Thor #126-200 (72 are graded 9.8 and 3 are graded 9.6) and X-Men #1-66 (61 are graded 9.8 and 5 are 9.6). The amazingly deep Shamus Modern Masterworks Collection, led by McFarlane’s jaw-droppingoriginal cover art from his seminal Spider-Man #1 (Marvel, 1990), was put together by Martin Shamus, who, as the owner of a popular comics shop, had the unparalleled opportunity of obtaining the art directly from many of the artists right at the time the comics were published in the late ’80s and early ’90s. 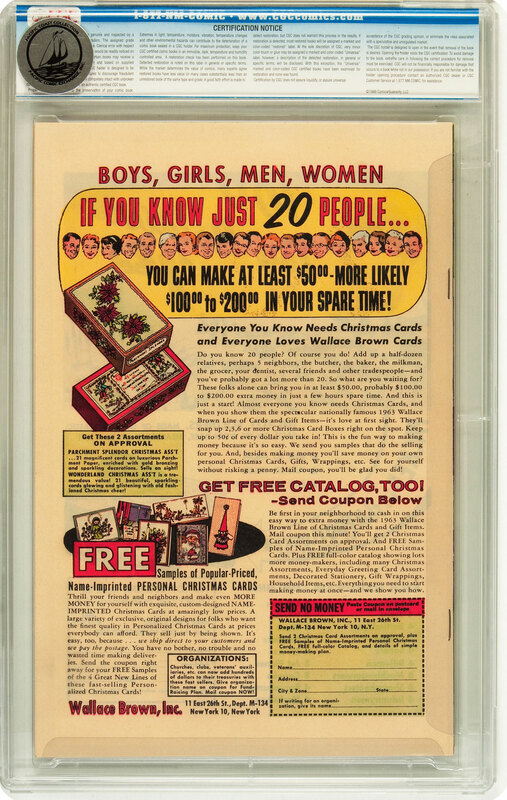 So huge, in fact, that bidding out of the gate has already surged well past the pre-auction estimate of $150,000, holding for the moment at $195,000 as of the distribution of this press release. 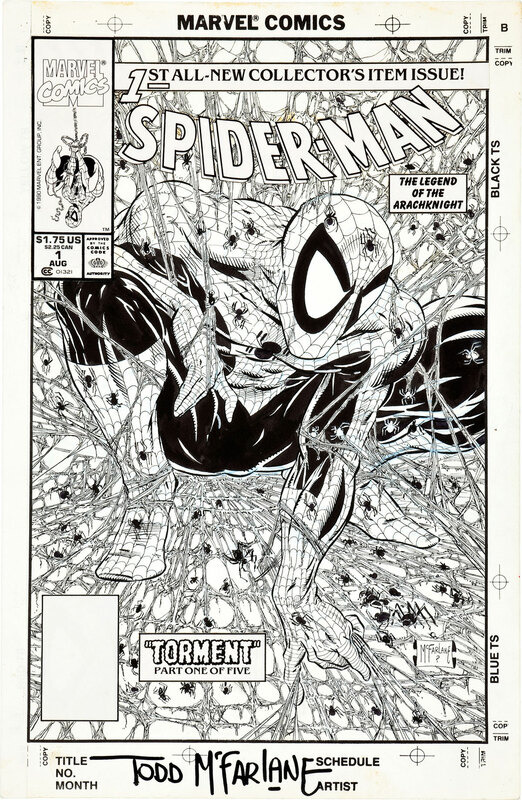 The Shamus Modern Masterworks includes McFarlane cover and interior artwork for his most important and desirable titles, including multiple examples from both the Amazing Spider-Man and Spider-Man, as well as examples from X-Men, The Incredible Hulk and Batman series. 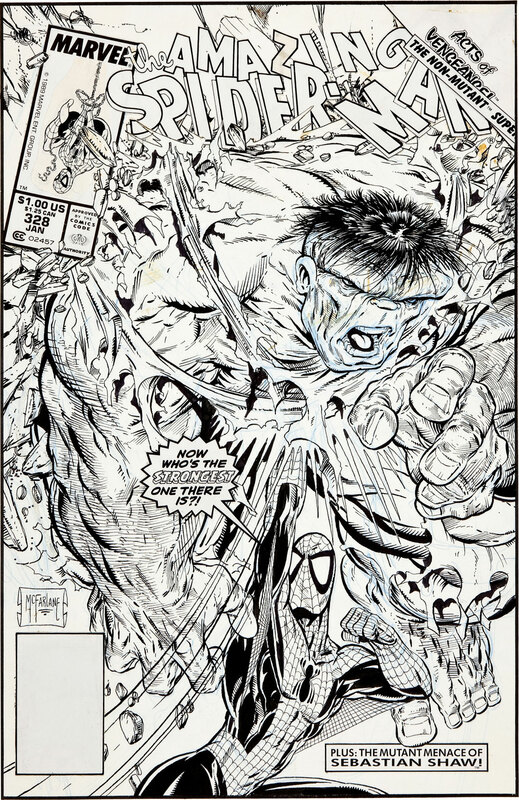 The grouping also includes unquestionably great examples by Jim Lee, Mark Bagley, Mike Zeck, Rob Liefeld, John Byrne, Jae Lee, Joe Quesada, Dale Keown and many others from the most popular and defining superhero titles of the era. 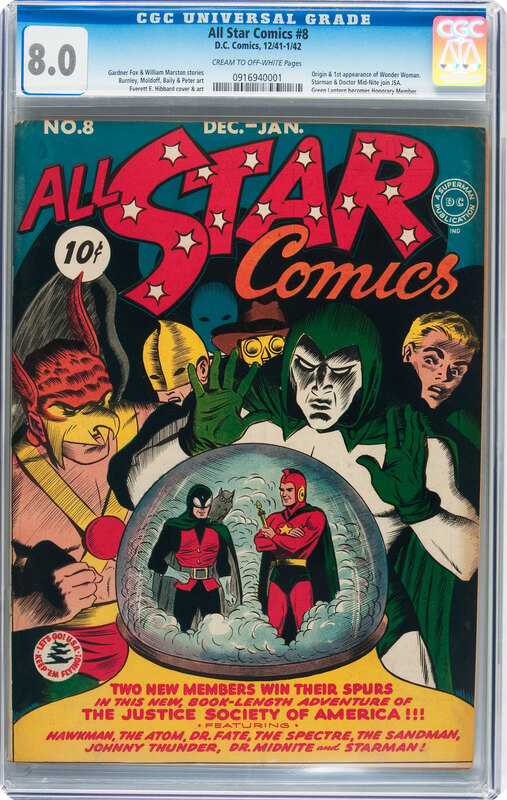 The Empire Comics Collection brings another impressive level to the auction, led by All Star Comics #8 (DC, 1942) CGC VF 8.0 (estimate: $75,000+), one of the most important issues in DC’s history. It is the comic with the origin and first appearance of Wonder Woman by H. G. Peter and it currently ranks #21 on Overstreet’s Top 100 Golden Age Books list. For this title, only issue #3, which had the first Justice Society of America, is more valuable.